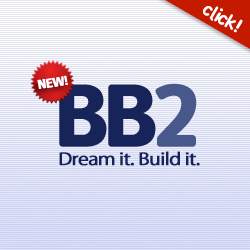 Nobody really understands how the CFBB works these days. They tend to give sides at the top of the table a tough time and do fall easily to teams in the bottom half of the table. The CFBB lost in midweek to UHB-SA. So US Laveyron, playing at home, were expected to win comfortably. The CFBB players have been suffering a lot of injuries this season. Hence once again Olivia Epoupa was drafted into the squad. Eléonore Grossemy (right) who has not played many games this season made her return with a double-double 10 points and 10 rebounds while handing out 4 assists. For US Laveyron Aurélie Carmona with 24 points and Pulcherie Ayi with 16 points led the offensive attack. US Laveyron went into the final quarter leading (56-53). With four minutes left to play they still led by 3 points (63-60). Epoupa started the CFBB final charge with a trey to level the score. Then Héléna Akmouche (10 points) put the CFBB in the lead for good with three minutes to play. Epoupa with her fifth steal of the match went on to score her 11th point of the match with the game entering money-time (69-65). The end was messy but the CFBB held their nerves from the free-throw line with Florine Basque (10 points) and Adja Konteh (10 points) securing their second victory of the season (72-67). Christelle Diallo was the top scorer with 12 points for the CFBB. Illkirch-Graffenstaden have had a roller coaster season. Yet for their last home game for 2009 they came up with their best team performance. Céline Schmitt-Sendner did not play while Lina Brazdeïkyte had a poor shooting day. Fans of NF1 basketball have been waiting for Caroline Nestor-Deininger to come back to her best after her injury last season. She scored 13 points, picked up 4 rebounds and handed out 2 assists. Bettina Kadila who also missed most of last season with a knee injury had her best game for the SIG and scored 11 points as her side beat Charney-lès-Macon (77-59). 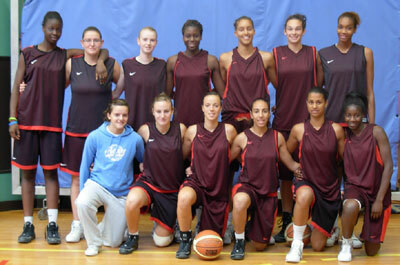 Melissa Washington played for Strasbourg ABC last season and is known by the supporters of the SIG. However the largest welcome went to Kaoutar Rhennam who also played in Strasbourg for Racing Strasbourg during her youth career. After a crazy first quarter (27-27), the SIG had to wait until the 16th minute in the second quarter (36-36) before making the first break of the match. Charline Servage (20 points) fired in back to back three-pointers off passes from Nestor-Deininger. Then Aline Fischbach also connected from beyond the arc. The SIG finished the scoring through Lucie Battaglia which enabled them to go into the interval (47-38). The SIG lost their way during the third period and fell behind as Washington (13 points), Margot Lety (16 points) and Charlotte Sanchez scored for the guests (53-52) with 27 minutes played. The SIG woke up in time and regained the lead through Darline Nsoki to go into the final quarter with a 6-point advantage after scores from Servage (left) and Nestor-Deininger. The final quarter belonged to the SIG as their opponents ran out of energy and ideas. It was not a perfect performance from the SIG. They hit just 16-of-26 from the free-throw line and attempted too many shots from beyond the arc. But this is the type of game they had lost at the beginning of the season. The last two games of the year for the SIG are away games against Dunkerque and Charleville-Mézières. Charnay showed during the first and third quarter that they have the quality to play NF1 basketball. Now they must work on playing concentrated for 40 minutes. What else happened in NF1 basketball? UHB-SA won their second game of the week by beating Pleyber-Christ (51-42). UHB-SA needed seven minutes to take control of the game and led (18-13) by the end of the first quarter. They went into the interval leading (37-28). The second half of the game was a festival of poor shooting from both sides. Dasa Krasnockova led the scoring with 14 points and Emilie Duvivier added 11 points. UHB-SA remain in first position. The big match of the weekend between Charleville-Mézières and Dunkerque Malo went the way of Charleville-Mézières (73-61). Dunkerque scored the first points of the game but only led for just 30 seconds. Djéné Diawara fired in a trey for Charleville-Mézières that set her team on the way to victory. Diawara led the scoring with 22 points. She was joined in double digits by Sarra Ouerghi (right) and Amel Bouderra with 16 and 12 points each. For Dunkerque Katalin Kurtosi scored 21 points. Charleville-Mézières remain tied for first place while Dunkerque move down to third. 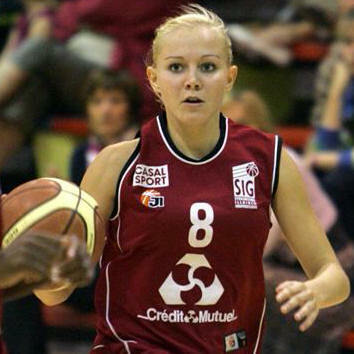 25 points from Emilie Silbande helped Nice BC 06 to beat Rennes (84-81). Union Lyon won at home against Tours (71-54). Roche Vendée required overtime to get past Reims (85-77) while CSP Rezé did just enough to beat Voiron (45-39).